Software is set of programs developed for specific purpose. Software has wide range of applications like embedded systems, MS Office, ATM, operating systems, email services, internet banking, social media sites, e-commerce sites, antivirus, software in spacecrafts, safety critical systems, etc. The use of software has penetrated deeper into human lives. People from different professions, age groups require software. Software is applicable to every industry or a domain that you could name like banking & financial services, CRM, telecom, aviation, tourism and so on. IT is a huge industry contributing greatly to the economy of the countries by creating job opportunities, globalizing the business activities. The application of software has proved to be more efficient and reliable than manual activities in business applications. Software industry has rapidly evolved after second world war, standardizing the processes in IT industry. A step by step approach to develop the software is called SDLC -Software Development Life Cycle. The SDLC steps are scope identification, planning, analysis, design, development, testing, deployment and UAT. Scope identification: The high-level requirements are gathered from the client by the Business Analyst and/or Project Manager. The client is an entity that gets the software developed from the IT company. Example: Bank of America gets the mobile banking software developed for its customers. Here, Bank of America is client and customers of Bank of America are called as end users. The requirements are often documented in Business requirements document. Plan: In the planning phase, IT Project Manager plans the schedule and budget of the project. All the plans are documented in Project Plan document. Analysis:It’s about the detailing the requirements gathered from client. Each requirementis provided with more specifications. The mock up diagrams, use cases, context diagrams, activity diagrams are more commonly used to explain the client requirements. This task is done by Business Analyst. The documents containing requirements and its specifications are to be signed off from the client. The technical team uses these documents to understand the requirements of client, visualize them and develop the software as per the client expectations. Design: The blueprint or programming logic of software is designed by a Technical Architects team. In the programming logic, the programs, steps in the program, interfaces between the programs, data flow, control flow are designed. 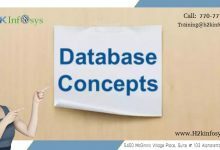 The database structure is designed by the database team. Development: The developers or programmers refer to the design of the software for programming or coding. 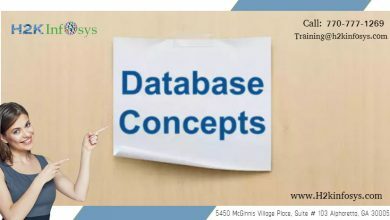 The database development develops the database for the software. There are several programming languages like Java, C#, PHP, etc. that can be used to develop the software. SoftwareTesting: The software is tested at different levels of the software development to identify the defects and verify the requirements of the client by developers, QA team and also vendors. Deployment: The thoroughly tested software is released to the client. The developers with assistance of system administrators get the software installed in the production environment. The installation manual has the steps for installation and configuration of the system for installation. User Acceptance testing: The end users test the software to make sure the software meets their requirements. The software testers and business analysts assist the users for testing. The user manual can be referred by users to understand the functioning of software. There are various technologies and tools used throughout the software projects: development platforms like .Net, database management systems, big data solutions like Hadoop, BizTalk, testing frameworks etc. What is different between client and end users? Give the examples of the software applications other than mentioned in the above material. 2.What is different between client and end users? Client is the company or person that gets the software developed by the IT company and end users are the customers of the client that ultimately use the developed software. 3.Give the examples of the software applications other than mentioned in the above material. Ans: scope identification, planning, analysis, design, development, testing, deployment and UAT. 3:Give the examples of the software applications other than mentioned in the above material. Scope identification, planning, analysis, design, development, testing, deployment and UAT. Client is an entity that gets the software developed from the IT company. End user is the party who gets to use the product or services. Mobile apps, Adobe flash player. Ans: Client is a person or a co-operate group for whom product is developed and sold. End user can be a person or a group of people that use the software or product once it is sold to client in their domain. The SDLC steps are scope identification, planning, analysis, design, development, testing, deployment and UAT. Client is a co-opration for whom the product get developed. End-user is the person who just use the software bought by that co-operation (client). 1. Steps of SDLC – Software Development Life Cycle has been broadly segregated into 8 steps over here. They are Scope Identification, Planning, Analysis, Design, Development, Testing, Deployment and UAT. 2. Difference between Client and End User – Client is referred for the entity who gets software developed as per their requirements and End Users are generally who the software is developed for and would be using the END product when it is ready. 3. Software applications are also used by numerous e-commerce companies, to name a few – eBay, JD Sports, amazon. The client is an entity that gets the software developed from the IT company. End user is the one who tests the software to make sure the software meets their requirements. Ans: The SDLC steps are scope identification, planning, analysis, design, development, testing, deployment and UAT. 2. What is the difference between client and end users? Ans: The client is an entity that gets the software developed for its customers, the end users. 3. Give examples of software applications others than the ones mentioned above? Ans: Travelocity is an example of a software application where users can book flights, hotels, cars, etc. Client is a company or organisation which wants a particular software developed for their requirement. End users are the users who actually use the software which is delivered to the client . 1. The SDLC steps are scope identification, planning, analysis, design, development, testing, deployment and UAT. 2. What is different between client and end users? 1. The client is an entity that gets the software developed from the IT Company. Eg Amazon is client for online shopping project. 2. The user is an entity that actually uses the software. Eg: in online shopping software, customer is user. 3. Give the examples of the software applications other than mentioned in the above material. 2) The different between client and end users. Client means the company or organization getting software developed from the IT company. End user means a group of people who gets to use the final product or services. 1. List the steps of SDLC? Scope identification, planning, analysis, design, development, testing, deployment and User acceptance testing . 2. What is different between client and end users? Scope Identification, Planning, Analysis, Design, Development, Testing, Deployment, UAT. Client: Its an entity that gets the software developed from the IT company. End users: People who uses the software. 3. Give the examples of the software applications other than mentioned in the above material. Medical domain, Facebook , etc. 2. Client is the entity that gets the software developed from the IT company and End users is person who uses the software. 3. Some examples of software applications are Firefox, internet explore, online shopping, google, online games etc. Client: Is the entity that gets the software developed from the IT company. End users: Individuals who uses the software. The steps of SDLC are scope identification, planning, analysis, design, development, testing, deployment and user acceptance testing. 2.) What is different between client and end users? The difference between clients and end users are that clients develop software but customer may be the end users. 3.) Give the examples of the software applications other than mentioned in the above material. Scope identification,Planning, Analysis, Development, Testing, Deployment and UAT. 2. Difference between client and users. “Client” is a company or an organization who gets the software from the IT company. “Users” are the end users who download the software and uses on purpose. 3. examples of the software applications other than mentioned in the above material. Gmail, Whatsapp, Windows, Facebook etc. Client The client is an entity that gets the software developed from the IT company. Costumers of the software developed by the client are called end-users. 2) for example any bank like BB&T bank wants an application for customers so BB&T will be the client for us and the bank users who uses the application will be the end users. 1.List the steps of SDLC. 2.Client is an entity or person who gets software done by IT company and End Users are persons who are going to use the software. 2. . The client is one who gets the software developed from the IT Company. For example Ebay is client for online shopping project. The user is one that actually uses the software for example in online shopping software, customer is user. 1. The various phases of Software Development Life Cycle: Scope Identification > Planning > Analysis > Design > Development > Testing/Debugging > Deployment > User training/Acceptance. 2. The client is the entity the gets the software developed and the end user is the one who actually uses it. 3. Examples of Software applications: Social networking apps, Music apps, books online. Client is the one who software companies write programs to perform certain functions based on their requirement. End users are the ones who use the functions. Macy shopping website Macys is client and we people when we go online shopping we are the end users. while end users are the actual users of the end product, who will actually be using the s/w. steps of SDLC : scope of identification, planning, design, develop, software testing, deployment, UAT. client – is the one who wants the software to be build for there particular requirements as per their customer expectations for their specific application. end users – are the customers of client who use the software build by the s/w company. s/w applications – ATM , Banking services, shopping websites, Travel tickets, laboratory results and others. b)The client is the entity which needs the developed software and the end user is the one who actually utilize the product. 1, SDLC : scope identification , planning , analysis, design, development ,testing , deployment and UAT. The steps of software development life cycle are scope identification,planning,analysis,design,development,testing,deployment and UAT. Client is an entity that gets the software developed from the it company according to their requirements. End users are the entities who gets to use the functionalities of the developed software. For example in a banking domain the client gets a software for the customers to access their accounts and use it for transactions and other activities and the end users will use the functionalities of the s/w and access their accounts. Firefox, Microsoft Windows, Excel, power point, gaming apps. 2. Client is an entity or organization that gets it software developed from IT company, for example AT&T web site, Amazon , Net Banking that they are developed for customers. Any customers who use those software for their daily need are users. 3. Software has wide range of application in human life activities. It can be also used for personal development, such as an artist using portfolio website to advertise his artwork, a health monitor app to keep track of daily health activities, a navigation map to reach the places where we never been, and so on. we as people that uses web and all this varieties of software are uses. we uses in our daily life when open out computers. Softwares comes in different variety and purposes. Software are being develop everyday for different purposes. 2-What is different between client and end users? 1. Scope identification, plan, analysis, design, development, software testing, deployment, user acceptance testing. 2. Client is an entity/business that gets the software developed from the it company. End users are the actual people using the software that the client gets developed. Scope Identification, Planning, analysing, Designing, Development, Software testing, Deployment and finally user acceptance testing. The client is the owner of the software for whom the software is developed i.e. the company and the end users are the people using the software for the purpose for which it was made. A1 : Scope identification, Requirement gathering, Planning, Analysis, Designing, Development, Testing, Deployment, UAT. A2 : Client are the Software owner/ business, and based on the specific requirements provided by client, developers will develop the software. End users are the actual users who will be using the software once it is deployed in production environment. A3 : Yahoo!, Facebook, Microsoft, Instagram, Ebay, Amazon, Bank of America , ect. Client is the creator and end user is the real user who is going to be benefited out of this application / softare. 2. Client can be an individual or a company who gives a requirement in detail of specific software or an application. End Users are the people or a real user who uses software after a deployment. 3. Example of software application are mobile banking, online shopping website, hotel reservation website, etc. 1 Steps of SDLC: Scope identification, Planning, Analysis ,Design, Development, Testing, Deployment, UAT. 2.The client is a business organization which gets the software developed from the IT company whereas the end user is the one who utilizes the services. 3 Examples of the software applications are Gaming apps, facebook,Instagram, online shopping, MS Office etc. 1 The SDLC steps are scope identification, planning, analysis, design, development, testing, deployment and UAT. 2. Client: Is the company that gets the software developed for the end users and End users: Individuals who uses the software. .
SDLC = Scope Planning,Analysis, design,Development,Testing, deployment and UAT. Client is the “company” and / or person requesting the software. End user will be the person using the software after compilation. A Client is a person or an organization who ask to develop the software according to their requirement. An End user a person or employees of the organization who use that software. Q2.A client is an entity for whom the software is developed for, while the end users are ultimate users of the product or services. Q2. What is different between client and end users? A. Client is the company or person that gets the software developed by the IT company and end users are the customers of the client that ultimately use the developed software. Q3. Give the examples of the software applications other than mentioned in the above material. Client is an entity that gets software developed from the IT company. End users are the people who use the software. 1. The steps of SDLC are: Scope Identification, Planning, Analysis, Design, Development, Testing, Deployment, UAT. 2. Client is the one who pays for the software to be developed and the end users are the one who actually use the software. •	A client is a person, group, company who gets software developed by IT Company BUT Users are generally who uses software or product once it is sold in their domain. •	Client buy your software, product, services BUT Users use the products, software, services that is buy by client. 3. Examples of software applications are: gmail, yahoo, spreadsheets, database. Business requirements are gathered in this phase. After requirement gathering these requirements are analyzed for their validity and the possibility of incorporating the requirements in the system to be development is also studied. Finally, a Requirement Specification document is created which serves the purpose of guideline for the next phase of the model. The testing team follows the Software Testing Life Cycle and starts the Test Planning phase after the requirements analysis is completed. In this phase the system and software design are prepared from the requirement specifications which were studied in the first phase. In this phase the testers come up with the Test strategy, where they mention what to test, how to test. On receiving system design documents, the work is divided in modules/units and actual coding is started. Since, in this phase the code is produced so it is the main focus for the developer. After the code is developed it is tested against the requirements to make sure that the product is actually solving the needs addressed and gathered during the requirements phase. During this phase all types of functional testing like unit testing, integration testing, system testing, acceptance testing is done as well as non-functional testing are also done. After successful testing the product is delivered / deployed to the customer for their use. As soon as the product is given to the customers they will first do the beta testing. If any changes are required or if any bugs are caught, then they will report it to the engineering team. Once those changes are made or the bugs are fixed then the final deployment will happen. Once when the customers starts using the developed system then the actual problems comes up and needs to be solved from time to time. This process where the care is taken for the developed product is known as maintenance. Q2. What is different between client and end users? Client is the company who is purchasing the software from our company. End user is the person who is actually going to use the software. Q3. Give the examples of the software applications other than mentioned in the above material. 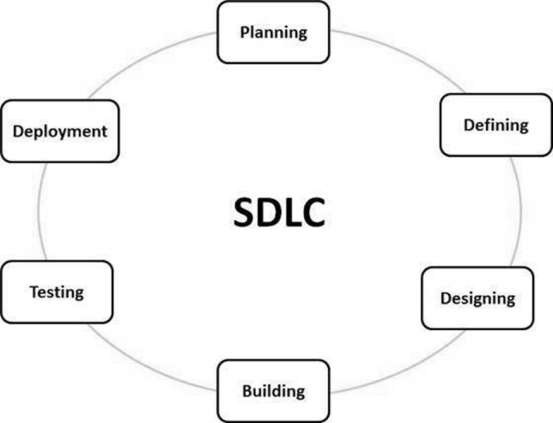 1) List the steps of SDLC: The SDLC Steps are: Gathering information, Plan, Analyse,Design,Development,Test Deploy,UAT . 2) What is different between client and end users? Client is a person who has given you the Requirement of application they want Eg. BOA and End User is the who will be using in this case it can be Employees,BOA customers Etc. 3) Give the examples of the software applications other than mentioned in the above material: Retail Store apps like Kohls, Macy’s etc, Paypal, Amazon, international phone call apps like Raza, reliance. 2-Client is an entity that gets the software developed from the IT company where as end user means who uses the product or it’s services. 3. example: music streaming site, shopping site, e-book reading site etc. The brief explanations of V model and the steps to follow to finish the project. 2.Client:Client is a person or organization who develop the software application for their business through IT organization. Users: Users are actual End users who get benefit from the software developed by client. (B) Users are the people or employees of the organization who are going to use the software in real time. 3. Mobile apps, Healthcare software like NexGen, casamba, amazon, Outlook. 1 SDLC steps are: Requirements gathering, planning, analysis, design, development, testing, deployment and UTA. 2 A client is a person or organization who desire a product or software to be develop for their users. B users are the end users who are going to use the software in their life for their own benefit. 3 Mobile apps, amazon, outlook, logistic, manufacturing, healthcare. Client is the entity which has the requirements to be developed as software and product owner. the end users are uses the software for their benefits. END USER IS THE BENEFACTOR OF THE DEVELOPMENT OF SOFTWARE REQUIREMENTS AS PER THE CLIENTS EXPECTATIONS. 3.ANS; ADOBE FLASH, MICROSOFT OFFICE, GOOGLE CHROME, PAYPAL, MEDICAL AND HEALTH CARE COMPANY AND SO ON. 2. Client-> is an entity that gets the software developed from the IT company. End Users->are the actual users who are going to use the developed software. 2. A client is the owner of software and who sets the requirement to develop the software while end users are who uses the software in real life. 3. Some of the Examples of the Software application are net banking, McAfee anti-virus software, Makemytrip.com, Facebook etc. Difference between client and end user is that client is an entity who get the software developed from the IT company and user is the client customers who use the software. 2. Client is a company that gets the software developed from an IT company. End users are the users who use the developed software. 3. Examples of some software applications are Smart TV software, Smart watches, Sphero, etc. 1.Requirement gathering from the client which is done by Business Analyst and the documents prepared are called Business Requirement Documents. 2.Planning is done by Project Manager to decide the release of software, cost estimation: hiring members, hardware installation cost,software licensing cost etc. the documents prepared are called Project Plan Documents. 3.Analysis of requirements is done by Business Analyst and documents prepared are called Functional Specification Documents are the documents including functionalities, Data to be supported by software, Users that will be accessing the software at any given time,performance of the software,the documents prpared are supported with mock up diagrams. 4.Design phase is conducted by Architects who are experienced Developers.They prepare the blue print or programming logic and the design for the project called Design documents. 5.Development take place where developers write the source code for the software. 6.Testing where system testing is done by QA to make sure software is free from defects and the documents prepared by testers are called test documents. 7.Deployment of software is the process where software is installed for the client to use is usually done by either developers or System Administrators and the client is provided with Installation Manual. 8.The final step is UAT(user acceptance testing) which is done by the users of the software either in IT environment where it is called Alpha testing or in real time environment where it is called Beta testing. business activities are then called End Users . Gaming apps, different language learning apps, GPS, Skype are some of the examples of software applications. B) Analysis by BA who gather the requirements from client then create document containing the requirements specifications. Technical team who uses the document created by BA and approved by client to develop the software. F) Deployment: Software is released to client. Developers with the assistance of system administrators get the software installed in the production environment. G) Users acceptance testing: Software is tested by end users to make sure the software meets their requirements. Client: Client is an entity that gets the software developed fro the IT company. End users: end users is the party that uses the products and services. This is a very detailed piece on SDLC steps and models with practical analogy used for better understanding. 1) Steps of SDLC are scope identification, plan, analysis,design, development, software testing, deployment, user acceptance testing. 2) Client the the one who gets the software developed from IT companies and users are the one who uses the developed software. 2.The client is the entity which needs the developed software and the end user is the one who actually utilize the product. Plan:Done by Project Manager document called Project Plan. UAT: Done by users,QA,BA… document called User Manual. High level of requirement is given by Client to BA,he has the entity that gets the software developed from IT company.Where as end users means who will be benefited by using the software. End users are the one who uses the application developed and tested. Ex: we people who uses Gmail application for our business or personal use. H2k Infosys, google.com, macys.com, express.com etc. Q.2. What is difference between client and end users? – Client is an entity that gets the software developed fro the IT company. Q.3. Give the examples of the software applications other than mentioned in the above material. Gathering requirements, planning, analysis, design, development, testing, deployment and UAT (user acceptance test). The persons or organization who are providing the requirements for developing software is called client. The persons who are using developed software is called users. Ex: Bank of America gets the mobile banking software developed for its customers. Here, Bank of America is client and customers of Bank of America are called as end users. Gmail, shopping sites like amazon, flip kart, Facebook, PayPal. Q-2: What is different between client and end users? –	Clients make the requirements and purchase the software from an IT company with the purpose of letting their customers or end-users use it. For example, Bank of America has a software developed through an IT company, so the customers can use it to conduct their daily banking activities. Here, Bank of America is client and customers are end users. –	Social media sites such as Facebook, twitter, Instagram, snapchat etc. –	Online payments methods such a PayPal. –	Online ticket booking sites such as fandango.com, AMC theatre. 2– What is different between client and end users? The client is the company or entity that will own the software, therefore made the request to have it build. 3– Give the examples of the software applications other than mentioned in the above material. Client is the entity for whom the software being developed , whereas the end users are the ones who uses the actual s/w after being developed. 3. • Give the examples of the software applications other than mentioned in the above material. Software is deployed and then end users will test the software with the help of developers and QA team before it is used by client. Clients implements software in there business and Users are employees or customers that use the software to operate any activity. 1) Scope identification, plan, analysis, design, development, testing, deployment, user acceptance testing. 2) client who is giving requirements to BA and end user who is using the software application! End users are the real customers who use the developed IT applications. 2. difference between client and end user? is developed and sold.The one who is investing for the project is client. 3. Give the examples of the software applications other than mentioned in the above material.? 2) Plan – The project Manager , head of the IT project team prepares the project plan. In which the project Manager documents he Schedule( when to start development, when to start testing, when to end testing etc ) and the budget(cost – hardware, software, resources etc). 3) Analysis – The business Analyst prepares a document known as Functional Specification Document(FSD) OR System Requirement Specifications(SRS). This document is a detail of the requirements with the help of mock up diagrams. These are the technical specifications. Example: Take a mobile banking application , wherein you have account summary- should be displayed on the horizontal tab or vertical tab, how many transactions should be displayed in a page, should it be displayed as a link or button etc. The BA gets an approval or sign off from the client. 4) Design – The Architect prepares the design document. This contains the list of programs to be created, data flow etc. It is the programming logic/blueprint. What steps are being executed in the back end? 5) Development – By using the design Document the developers write the code or do the programming. Programming can be done using different programming languages like Java, c#, Python, Ruby etc. 6) Testing – The software testing is done at different levels of software development both by developers and testers. Testing is the executing of the software to identify defects and verify the requirements are in compliance with the client. 7) Deployment – The thoroughly tested software is released to the client. This is done by the Developers ,System administrators. The installation manual is used to install the software. 8) User Acceptance Testing – The client use the software and sees whether it meets their requirements. It is done by the users,QA, BA . The user manual is referred by the users to understand the functionality of the software. Mnay differenet tools are used throughout the software project – development platforms like .NET, database management systems, big data solutions( Hadoop, Biztalk etc) etc. What is the difference between client and End users? The client is an entity who gets the software develped from the IT company. example: BOFA(Bank of America) gets the mobile banking software developed from the IT company for its customers. Here BOFA is the client and the end users are the customers of BOFA. Health care applications like kaiser, Atrium , Norton anti virus, Travel applications like Cheapoair, kayak etc. 1. Planning, Analysis, Designing, Development, Testing, Deployment, and UAT. 2. Client is the one who places the requirement for the software to be created and end users are the one who will actually use the software. 3. some examples gaming applications,skype, online banking, tele communication. 1.List the steps of SDLC : Scope identification ,Analysis, Design ,Development ,Testing, Deployment and Uat. Client is the one who sets the requirement according to their need and the End users test the software to make sure the software meets their requirements. The client is an entity that gets the software developed by the IT company. The end user is the one that would ultimately use the client company’s software. Example: Bank of America gets the mobile banking software developed for its customers. Here, Bank of America is client and customers of Bank of America are called as end users. List the steps of SDLC: scope identification, planning, analysis, design, development, testing, deployment and uat. what is the difference between client and end user: The person or some organisation who are providing the requirements to IT company for develop the software is called client. The person who ever using the developed software is called end user. Answer 2. Client is the corporation that pays for the software whereas end user is the party that uses the product and service without paying money. Here are answers for questions related to article. -scope identification, planning, analysis, design, development, testing, deployment and UAT. -the client is an entity that gets the software developed from the IT company. Example: Bank of America gets the mobile banking software developed for its customers. Here, Bank of America is client and customers of Bank of America are called as end users. The requirements are often documented in Business requirements document. Customers are an end user. Telecom domain, online shopping, uber etc. – Planning ~ The Project Manager prepares a Project Plan document outlining the schedule and budget of the project. – Design ~ The programming logic, detailed steps, database structure are designed. – Testing – The software is tested at different levels to identify defects and verify the compliance of client requirements. – Deployment ~ The thoroughly tested software is released to the client and set up in the production environment. – UAT or User Acceptance Testing ~ The end users test the software to make sure it meets client’s needs. 2) The difference between client and end users is that the client is an entity that gets the software developed from the IT company and the end users are the customers or users who actually use the software. 3) Additional examples of software applications are e commerce sites like Walmart, Amazon, e-newspapers and magazines, social media sites like Facebook, Youtube, Snapchat, financial institutions, Security Agencies like FBI, CIA, etc..
An end user is the final customer uses the software or got services from the software after it released. Here the end user don’t have direct contact with the IT Company. While a client could be any company or organization widely use software applications to facilitate its task. Give precise and on time services. Here the client communicate with the IT Company. As far as we are living in computerized world, software application is widely used. In airports, Traffic light system, Hospitals, construction (Design like Auto cad). 2. Client is the one who give information to BA what are their expectations in the software. End users are the real customer that uses the software. What is the difference between Usability Test and User Acceptance Test?